I loved going to school. It was the 70’s and Wilson Elementary in Plant City where I grew up had terrazzo floors and jungle gym climbing bars and – a swing set! I was the kind of student that was sad when the weekend rolled around because I always liked to be with my friends, and my teachers were so special to me. So when this past week’s horrific Valentine’s Day Broward School shooting happened, I called my lifelong friends in Plant City and prayed with them over the phone. We cried and we talked about what we can do as Americans to help the families and talk through how to prevent future shooting tragedies. I also called my clients to tell them how much I appreciate them because we are not promised tomorrow. One client said he wanted to donate to any school district that would want it the artificial intelligence technology his insurance company uses to track its company reviews and mentions. The school districts could monitor words like “bomb,” “guns,” “shooting,” and those other terms with which we, unfortunately, are all too familiar. He asked me to spread the word. I plan to make it my mission to do just that. Anyone want to help? And to all of my readers…you are special…wanted you to know! Happy Presidents Day! The Florida Legislature has light duty today essentially gaining a three-day weekend but they’ll return tomorrow to begin the final three week stretch of the session. The House holds floor sessions tomorrow and Wednesday & the Senate just on Wednesday. This is the only full committee week left, so look for a scramble to get those bills that have been pre-destined to survive, up and through their remaining committees and ready for full chamber consideration the following week. This past week was focused mostly on the next fiscal year’s state budget and on tax incentives. The House Ways & Means Committee approved a $350 million tax package that includes a reduction in the business rent tax from 5.8% to 5.5%; a series of sales tax holidays including back-to-school items and hurricane supplies; and tax breaks for farmers impacted by Hurricane Irma, such as one-time tax refunds on fencing and building materials for farm buildings. As for insurance and related issues – it was rather quiet. Committees are busy hearing proposals implementing some of the recommendations by the House Select Committee on Hurricane Response and Preparedness looking at Hurricane Irma’s impacts. Measures on affordable housing and home repair, hurricane shelters, and requiring that future homeowners policies spell out that they don’t cover flooding, all made forward progress this past week. A new bill addressing the controversial topic of mandatory generators at nursing homes and adult living facilities is expected to premier this week. This is the point in the legislative session where one word rings true – “posturing”. Will PIP reform or AOB reform be tied together since both have the interest of competing groups like trial lawyers and the insurance industry? Will charter schools reign over traditional public schools? Will telehealth or telepharmacy technology advance? Or will the millions of dollars in tourist development taxes be diverted from marketing Florida to building roads and bridges? The Senate leadership will try to gauge what is important to the House and vice versa and each will try to outfox each other. As we have seen in the past, the House has had the “advantage” and ended with the big wins the past few sessions so it’s anybody’s guess who will win “the game” of lawmaking and public policy debate. And mixed into the maneuvers is the $87 billion+ budget. Assignment of Benefits (AOB) – The Florida Senate’s version of AOB reform is still waiting to be scheduled for a hearing before the Rules Committee, its final of three committees before it can go to the Senate floor. Compromise among insurance, legal, and contractor interests remains elusive, with much behind the scenes conversation and wrangling. The Senate Judiciary Committee on February 7 voted 7-3 to pass SB 1168 by Sen. Greg Steube (R-Sarasota) along with an amendment that removed an original provision barring insurance companies from including the costs of attorney fees paid in losing cases into their rate base or future rate requests. But the amendment wasn’t enough to sway the insurance industry, which continued to oppose the bill because it doesn’t address one-way attorney fees, which is driving rising consumer rates within AOB. The bill would continue current practice to allow such fees to the prevailing party in a lawsuit or settlement – whether that be the policyholder or a third-party vendor exercising an AOB. This is contrary to the intent of Florida’s one-way attorney fee statute and to the advice of Florida Insurance Commissioner David Altmaier. Senator Steube countered that his bill has a provision allowing insurance companies to recoup their attorney fees if the plaintiff refuses a good faith offer of settlement and then loses later in court. The Senator wanted to know why that process wouldn’t work, discussion ensued, and he committed to continue to work on the issue. Representatives from insurance companies, the Florida Office of Insurance Regulation (OIR), and Citizens Property Insurance still oppose the bill because it doesn’t bar one-way attorney fees for repair contractors. Sen. Steube asked that opponents come talk to him about how to address the one-way attorney fee language without outright repealing it. One speaker was questioned about why the insurance industry cannot guarantee that rates will go down if a satisfactory bill passes that reforms the assignment of benefits issues. The speaker responded that too many variables dictate rates and just because AOB reform passes, there are still other unknowns. Senator Anitere Flores (R-Miami) discussed her frustration and those of her 500,000 constituents who have rates going up; she is adamant that no one will say what rates will do if a bill passes to reform AOB. She cited OIR’s website that shows how much rates will go up “to the penny” if there’s no AOB reform bill that passes, but she said there’s no precision as to how rates will go down, should a bill pass. Senator Steube closed by saying that this was his 8th session and in every insurance bill that he has voted on since, there have been promises that rates will go down. You can listen to Senator Flores & Steube’s impassioned pleas by clicking here and going to timecode 1:03:35 (for Flores) and 1:11:47 (for Steube). See Bill Watch Backgrounder: Assignment of Benefits for more details on the history of AOB reform and this bill, current data, and past committee and stakeholder discussions. The Florida House on January 12 passed its version of AOB reform, with HB 7015 by Rep. Jay Trumbull (R-Panama City). The bill addresses AOB abuses and enhances consumer/policyholder protections. While one-way attorney fees would continue to exist for first-party claims filed by a policyholder against an insurer, this bill sets special two-way attorney fees for third-party claims. Its purpose is to discourage frivolous and abusive claims and lawsuits. Please refer to the above Backgrounder for further details on the House measure. Meanwhile, Rep. David Santiago (R-Deltona), who has been a champion in the fight against the abuse of assignment of benefits for the past several years, has a catch-all insurance bill (HB 465), known as an “omnibus” bill to change several provisions of the insurance code. The bill has been revamped as CS/CS/HB 465 and passed the House Commerce Committee on February 1st and still awaits a final vote by the full House. Among the changes in this bill is the addition of the Intelligent Mail Barcode or other similar tracking methods used or approved by the United States Postal Service as an acceptable delivery method under a policy’s proof of mailing requirement. Majority Leader Ray Rodrigues questioned Rep. Santiago on the veracity of the process, noting it tracks a package to the mail center and then the mail truck, but not to someone’s home. Rep. Rodrigues said he knows from personal experience (and those of his neighbors) that mail mix-ups occur and said something as important as an insurance notice should have a traceable delivery abilities. Look for more discussion about this when the bill is debated on the House floor. Previous changes to the original bill included elimination of a provision that would have excluded from the Department of Financial Services complaint registry complaints filed by third parties who are not satisfied with an insurance company’s claims handling when an assignment of benefits is involved. A revamped companion, Senate Bill (CS/SB 784) by Senator Brandes will go before the Judiciary Committee tomorrow, it’s second of four committee stops. It now contains a provision that mediation may be requested only by the policyholder, as a first-party claimant; a third party, as assignee of the policy benefits; or the insurer. However, an insurer is not required to participate in any mediation requested by a third party assignee of policy benefits. Windshield AOB – There’s no further progress to report from this past week on this issue. There were ruffled feathers from some windshield repair shops following passage of Senator Dorothy Hukill’s CS/CS/SB 396 by the Senate Commerce and Tourism Committee on January 29. The bill would allow auto insurers to require an inspection of a damaged windshield of a covered motor vehicle before the windshield repair or replacement is authorized. The bill addresses what Sen. Hukill has called “the proliferation of damaged windshields in Florida by bad actors, waiting in parking lots and car washes, offering free windshields and incentives for their services, whether needed or not, and it’s driving up costs.” The bill includes requirements that the inspection take place within 24 hours from the notice of a claim – but must be skipped if the damage has impacted the vehicle’s structural integrity or otherwise would be a violation to drive on the roadway. The bill is also meant to cut down on the number of AOB lawsuits by out-of-network windshield shops. Those lawsuits, according to the state Department of Financial Services, have grown from 397 in 2006 to 19,513 in 2017. Prior to the meeting, Hukill filed an amendment that eventually passed which would prohibit windshield shops from offering incentives to customers to file insurance claims for damaged windshields. The bill has been revamped several times and is returning to the Banking and Insurance Committee where it first passed unanimously on January 16. Hukill’s bill has an identical companion bill in the House (HB 811) by Rep. Plasencia, which is still awaiting its first of three committee hearings. Workers’ Compensation – There’s no further progress to report from this past week on this issue. Like AOB reform, Workers’ Comp reform is another issue fast-tracked by the Florida House while the Senate still has no formal bill. The House, on January 12, passed HB 7009 by Rep. Danny Burgess (R-Zephyrhills). It’s a near replica of HB 7085 from last session that died over disputes on maximum hourly attorney fees. This is by far one of the most contentious – and by court rulings, most immediate – issues facing the legislature after the state Supreme Court’s 2016 ruling that our workers’ comp system was unconstitutional. While the bill has no Senate companion, Senate President Negron has been quoted as saying his chamber is eager to pass something this session. Last year’s House bill came on the heels of a 14.5% average increase in workers’ comp rates – adding to the urgency. This fall, however, OIR approved decreased rates averaging 9.5%. Rep. Burgess has warned that those decreased rates don’t reflect the lagging cost increases still anticipated from state Supreme Court decisions throwing out limits on attorney fees and extending certain disability payments. Recent statistics do show increases in workers’ comp legal fees, as previously reported in the LMA Newsletter. Rep. Burgess said it was important to be proactive and pass reforms now, before the next rate increase. The bill eliminates fee schedules but puts a cap of $150/hour on plaintiff (workers) attorney fees. Yet business groups’ support of the measure has been lukewarm, saying it could be “premature and ultimately, inadequate” especially in restricting attorney fees. HB 7009 is one of the five most-lobbied bills in the legislature according to a recent report by the Tampa Bay Times. Workers’ Compensation for First Responders – CS/CS/HB 227 by Rep. Matt Willhite (D-Royal Palm Beach) was approved by its second committee last week with the Government Operations & Technology Appropriations Subcommittee passing an amended version of the bill. The amendment better aligns the bill’s requirements with current workers’ comp law. The bill and a similar one moving in the Senate, CS/SB 376 by Senator Lauren Book (D-Plantation), remove the requirement on some first responders that there be a physical injury in some circumstances in order to receive medical benefits for a “mental or nervous injury”, so long as the responder witnessed a specified traumatic event. These efforts are inspired, in part, by the city of Orlando’s refusal to pay such benefits to a police officer reportedly diagnosed with PTSD after responding to the Pulse nightclub shootings. The Senate bill still awaits its next hearing before the Appropriations Committee. 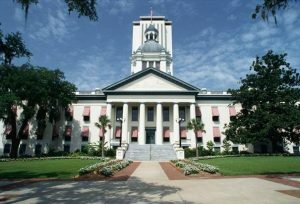 SB 126 by Senator Victor Torres (D-Kissimmee), which would require treatment begin within 15 days, has not been heard. Personal Injury Protection (PIP), also called No Fault Insurance – There’s no further progress to report from this past week on this issue and at this point, it’s anybody’s guess whether we will see PIP eliminated this year. A new report out in early February by the actuarial firm Milliman says that eliminating PIP under the House’s already passed HB 19 would increase, not decrease coverage costs based on likely motorist scenarios. The Milliman Report, done for the Property Casualty Insurers Association of America, says an increase of 5.3% or $67 is likely under relevant variations in coverage and sample size, as more drivers will buy uninsured and underinsured coverage for protection against motorists who skip buying insurance altogether. The report says the increased costs result as well from the addition of non-economic damages under bodily injury and uninsured lines that don’t exist today under no-fault PIP. Combining HB 19 with the Medical Pay provisions of the Senate’s CS/SB 150 would see average coverage costs rise 6.4% or $80, said Milliman. Meanwhile, efforts continue behind the scenes to add Bad Faith provisions into both the House and Senate versions of bills that would do away with PIP insurance. The bills under consideration would eliminate the state requirement that motorists carry $10,000 in PIP insurance and put responsibility for vehicle accidents on the party at fault. While the House has passed its PIP repeal bill and the Senate is working its version through committees, some insurance interests are withholding formal support because neither bill provides protections from bad faith lawsuits that will likely go with the territory of returning to a tort system. As a result, the future of PIP elimination remains unclear. The House chalked up another quick victory on January 12 with passage of HB 19. The bill eliminates PIP and would require motorists instead to carry Bodily Injury liability insurance at a minimum $25K/$50K level. Rep. Erin Grall (R-Vero Beach) who is sponsoring this bill for second year in a row, has noted that despite various PIP reforms in the past, costs keep going up, driven partly by fraud. OIR and committee staff analysis show auto rates would go down (5.6% overall) if the bill passes and should encourage those driving illegally without proper insurance (22% of Florida drivers she has said) to get coverage. The bill also revises the uninsured and underinsured coverage legal damage thresholds. HB 19 is one of the five most-lobbied bills in the legislature according to a recent report by the Tampa Bay Times. The Senate’s answer to PIP reform remains stalled since taking its first formal step forward on January 10 with the Banking and Insurance Committee passing CS/SB 150, by Senator Tom Lee (R-Brandon). It goes beyond the House bill and replaces PIP with mandatory $5,000 of Med Pay coverage (and loses the consumer savings as a result) plus varying amounts of Bodily Injury liability limits which appears to give consumers choices. Senator Lee revamped his original bill to now focus Med Pay coverage solely on emergency hospital treatment and within two weeks after the accident. The bill was further amended to allow less expensive treatment by other practitioners, including chiropractors. Some senators expressed concern that the bill will effectively raise auto insurance rates for those motorists who have just PIP policies. But Senator Lee refuted that, noting that mandatory BI will cost $49 per $1,000 of coverage versus the current $121 per $1,000 of PIP coverage. As an example, he said a scenario of PIP + minimum BI + Med Pay would cost just $4 more, proof of a more efficient system without PIP. 30/60/10 minimum coverage from 1/1/23 and thereafter or a Med Pay and motor vehicle liability policy with a combined property damage and bodily injury coverage of $70,000 for one crash. Senators are facing pressure by Incoming Senate President Bill Galvano to “get ‘er done” this session before he takes over in the fall. Yet the bill is still awaiting its next hearing before the Appropriations Subcommittee on Health and Human Services. Affordable Housing – Bills in both houses would create a Hurricane Housing Recovery Program and a Rental Recovery Loan Program to provide Florida residents funding for emergency housing and repairs after hurricanes. The programs would be funded by a 20% allocation (about $62 million this year) of the state’s existing Sadowski Affordable Housing Trust Fund. CS/CS/HB 987 by Rep. Bob Cortes (R-Altamonte Springs) was passed by the House Transportation, Tourism, and Economic Development Appropriations Subcommittee this past Tuesday and goes next before the House Government Accountability Committee. A companion bill, SB 1328 by Senator Keith Perry (R-Gainesville), has its second of three committee stops this Wednesday before the Appropriations Subcommittee on Transportation, Tourism, and Economic Development. Health Care Disaster Preparedness & Response – This past week saw the debut of HB 7085 by Rep. Ralph Massullo (R-Beverly Hills), a medical doctor from the small town of Lecanto, in Citrus County. The bill addresses the shortage of special needs shelters during Hurricane Irma and expands the list of people – including health care students and college professors – who can help provide care during disasters. The bill directs the state Department of Health, in coordination with the Division of Emergency Management and local emergency management agencies, to maintain a statewide registry of persons with special needs; requires nursing homes, assisted living facilities, home health agencies and nurse registries to have an emergency management plan & to conduct staff training; reassigns responsibility from DOH to AHCA for establishing & maintaining online database for licensees providing residential or inpatient services to report information regarding emergency status, planning, & operations; and requires licensees to provide for continuation of services under emergency conditions. The House Health & Human Services Committee passed the bill this past Thursday and heard some impressive numbers from Hurricane Irma. Almost 700 shelters were opened throughout the state, housing 191,764 people. There were 113 special-needs shelters in 53 counties, serving 10,452 people with special needs and 4,490 caregivers. The committee heard testimony that many shelters weren’t staffed adequately. Trash Pickup – The House Energy and Utilities Subcommittee on January 29 passed CS/HB 971 by Rep. Randy Fine (R-Palm Bay) that would prohibit a municipal or private garbage service from charging customers for missed trash pickups, unless the trash is removed within three days of the normally scheduled date. The bill also prohibits telephone or cable companies from charging their customers for service that was interrupted for longer than 24 consecutive hours, unless it was the customers fault. The bill opened a broader discussion on the timing of garbage and yard waste both after and before a storm. Trash haulers who spoke said there should be no collection of garbage or yard trimmings 48 hours before a storm, as they can become projectiles in high winds. Afterward, in the case of Hurricane Irma in Jacksonville, one hauler testified many areas of the city were still flooded seven days later, preventing trash trucks from garbage pickup. Committee members expressed concern about the complexity of the bill and that it would create new costs that would inevitably fall on customers. Although the bill passed committee, many members said their ultimate approval was dependent on the bill improving. It still awaits action in the Commerce Committee. Underground Utilities – Legislation (HB 405) giving the state Public Service Commission the sole ability to require underground transmission lines passed the House in late January and awaits action in the Senate, where its identical companion SB 494 has already been approved through committees and ready for a final floor vote. Nursing Home Emergency Power – CS/SB 1874 by Senator Kathleen Passidomo (R-Naples) would require the Agency for Health Care Administration to adopt and enforce rules requiring each nursing home and assisted living facility to have an emergency power source and fuel supplies to last at least 96 hours during a power outage. The bill was prompted by the deaths of residents of a Hollywood nursing home that lost its air-conditioning system during Hurricane Irma. The bill passed its second of four committee stops last week and now awaits a hearing before the Senate Appropriations Committee. There will also be a new bill introduced before the House Health & Human Services Committee this week regarding this issue. Fuel Emergencies – The state agriculture commissioner would be empowered to lower gas prices during an emergency under an amendment that was added last week to CS/HB 553, a House omnibus bill on regulations by the Department of Agriculture and Consumer Services. The bill, with the amendment, passed the House Commerce Committee on February 1 and is ready for consideration by the full chamber. The measure’s specific intent is to require gas stations that run out of lower octane fuel to then sell their higher octane fuels at the lower octane price. A representative from the Florida Petroleum Marketers Association said the measure would place Floridians at greater risk of predatory pricing in the longer term, because the big oil companies can afford to sell 93 Octane gas at 87 Octane prices while the smaller mom and pop operators cannot. Representative Jamie Grant (R-Tampa) pointed out the measure would help consumers immediately prior to and after a disaster, when they need it most, in what was a very good debate among members. The Senate meanwhile, through its Committee on Military and Veterans Affairs, Space, and Domestic Security on February 1 passed CS/SB 700 that would create a Florida Strategic Fuel Reserve Task Force within the Division of Emergency Management. The task force would recommend by April 30, 2019, a strategic fuel reserve plan to meet the state’s fuel needs during emergencies and disasters. The bill has two more committee stops. Governor Directives – Governor Scott in early February issued a series of directives to state agencies, mostly the Department of Transportation, to begin immediate work implementing some of the House Select Committee report’s recommendations. This includes the DOT by this July, identifying areas along major evacuation routes where more fuel services are needed and looking at options to expand fuel capacity for first responders. Other directives include expanding emergency shoulder use along key interstates, a strategy used during Irma last September as traffic backed up while motorists fled north on I-75 ahead of the storm. The Governor also directed that cameras and message signs be installed along I-75 from Ocala north to the Georgia state line and enhancements be made to the state’s “Florida 511” traffic information website for motorists. The DOT’s previous review suggested emergency shoulder plans for I-75 northbound from Alligator Alley in Fort Lauderdale; on the turnpike northbound from Orlando; on Interstate 95 northbound from Jupiter to south of Jacksonville; and on Interstate 10 westbound from I-75 to just east of Tallahassee. The House Select Committee on Hurricane Response and Preparedness issued its final report on January 16 with 78 recommendations to make Florida a safer and better prepared state when the next big hurricane hits. They include extending the Suncoast Parkway from Citrus County to the Georgia line to aid in evacuations, strengthening the power grid, and better protecting vulnerable populations housed in shelters and senior care facilities. The report is now in the hands of House Speaker Corcoran who has made clear the House spending priorities this session will be for hurricane relief. Both chambers have bills that would make backup generators mandatory and nursing homes and assisted-living facilities, one of the report’s recommendations. How to help the industry pay for it is still being debated. Among the proposals are increasing Medicaid reimbursement rates or offering tax incentives. The report capped 20 hours of committee meetings over two months hearing various ideas from government and private interests. Better management of local shelters was another priority in the report with recommendations to provide more training and better coordination. Developing a better communication process between local emergency management officials and electric utilities to identify restoration critical to public safety was suggested. As for fleeing Florida prior to storms, the report recommends the state develop and implement a real-time, web-based evacuation route/destination resource tool to assist the public in making informed decisions relating to the selection of evacuation routes and destinations. Also, better utilization of rail lines before, during, and after an event to bring gasoline and diesel fuel and likewise, using expanding passenger rail service for evacuations. Other recommendations of note to insurance interests: investing in plans that cost effectively mitigate flood risks to developed areas, including protection of greenways and blueways that act as flow ways or provide temporary storage during high water events. Also, to provide incentives, such as civil immunity, for parking garage owners to make their garages available to the public during a hurricane. Rep. Holly Raschein’s suggestion that high-risk areas not be rebuilt after storms and instead, could be part of a state buyout program, did not make the final list. The report’s full list of 78 recommendations are in Appendix 3 beginning on page 43. Hurricane Flood Insurance – There are other bills prompted by Hurricane Irma’s aftermath. The Florida House this past week passed unanimously CS/CS/HB 1011 by Rep. Janet Cruz (D-Tampa). It would require homeowners insurance policies that do not include flood insurance (most don’t) to so declare and would require policyholders to initial that declaration in acknowledgment. The bill and its Senate counterpart, CS/SB 1282 by Senator Taddeo (D-Miami) were prompted by two realities: upwards of 60% of Irma’s damage here was caused by water and up to 80% of Florida flood victims may not have either NFIP or private flood coverage. “It will save a lot of trouble for homeowners,” Senator Taddeo told the Senate Community Affairs Committee last week, prior to its passing her bill. “After Hurricane Irma, a lot of homeowners were calling my office saying that ‘My insurance isn’t covering this’,” she said. CS/SB 1282 contains two amendments that 1) require the policies to acknowledge that private flood coverage is available for those homeowners with property valued above the National Flood Insurance Program’s $250,000 coverage limits; and 2) push the effective date of the measure to 2019 to allow insurance companies enough time to change their forms. The passed House bill removed the specific reference to the National Flood Insurance Program. CS/B 1282 is awaiting scheduling before the Rules Committee, its final stop before the full Senate. Florida Hurricane Cat Fund – An effort to return a portion of property insurance premiums to policyholders during quiet storm years is plodding along. SB 1454 by Senator Jeff Brandes (R-St. Petersburg) will have its first hearing tomorrow before the Senate Banking and Insurance Committee. Like the House bill below, it would accomplish savings, but more quickly, by eliminating the rapid cash build-up factor resulting in immediate rate savings. The House bill, CS/HB 97 by Rep. David Santiago (R-Deltona), received its first hearing January 23 before the Insurance and Banking Subcommittee and was passed after interesting debate. The bill, as does the Senate’s, addresses the growing balance – until Hurricane Irma – of the Florida Hurricane Catastrophe Fund. The Fund provides reimbursements to insurers for a portion of their catastrophic hurricane losses. Insurers pay premiums into the fund each year and pass the costs along to their policyholders, just like reinsurance. But in quiet years, the fund has grown beyond its current statutory requirement of $17 billion, prompting the question: Should you reduce collections and thereby reduce premiums to policyholders? The bill attempts to do that by changing the premium formula through changes in the rapid cash build-up factor based on the projected fund balance each year. The factor would vary, from 25% when the fund balance is less than $14 billion, to 0% when the fund balance is at least $16 billion. (A previous amendment to gradually reduce the Cat Fund limit of $17 billion to $14 billion by the year 2022 was withdrawn.) The elimination of this “hurricane tax” as the rapid cash build-up factor is often described, will reduce rates approximately 4% but may be offset by other rate increase drivers like the assignment of benefits. Jay Neal of the Florida Association for Insurance Reform supported the bill, noting the average policyholder pays an extra 4% now for the rare possibility of a catastrophic event. “When fund balances are high, we don’t see the need to have the assessment and instead let the consumer spend that money elsewhere in the economy,” he said. 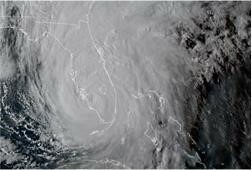 Other groups, including the Florida Chamber of Commerce and Associated Industries of Florida urged caution, saying the bill too dramatically reduces the rapid cash build up, creating the risk of special assessments on policyholders if the fund is caught short after a big hurricane. Indeed, the representative for the Cat Fund testified that they are projecting a $2 billion hit to the Fund from Hurricane Irma. If Irma had been a direct hit on Florida, the Fund would have been exhausted, requiring such special assessments to build the fund up for the next season. Bill sponsor Rep. Santiago admitted more debate is needed. Although acknowledging that the “safety valve” in the bill wouldn’t produce consumer savings this year due to the $2 billion hit from Irma, “that safety valve would work, so that in quieter years, there would be savings…to help constituents avoid what I consider a tax year after year.” CS/HB 97’s still awaits its final stop before the Commerce Committee. Direct Primary Care – There’s no progress to report from this past week on this issue. Informally dubbed “concierge medicine for the masses”, HB 37 by Rep. Danny Burgess (R-Zephyrhills) passed the House on January 25. The bill allows doctors to enter into monthly fee for service arrangements directly with individuals or employers, essentially bypassing health insurance organizations. Burgess, in explaining the bill on the floor, said a lot of doctors don’t enter direct primary-care agreements because of regulatory uncertainty. The bill would make clear direct primary care is not subject to insurance regulations. Burgess said the agreements are more affordable than insurance (typically costing about $75 month) and co-sponsor Rep. Mike Miller (R-Winter Park) said the bill gives the “ultimate decision-making process” to doctors and patients. “We’re trying to lower the cost of health care and improve the outcomes,” he said. Two amendments which would have essentially added Obamacare provisions by preventing a primary care practice from declining a new patient because of health status or discontinuing care to an existing patient due to health status, as well as eliminating refunds to an employer paying on behalf of an employee, directing the refund go instead to the patient – failed to pass. A companion bill, CS/SB 80 by Senator Lee, passed by unanimous votes in October out of the Banking and Insurance, as well as the Health Policy Committees and still awaits action in the Appropriations Committee. HB 37 is one of the five most-lobbied bills in the legislature according to a recent report by the Tampa Bay Times. Health Insurer Authorization – There’s no progress to report from this past week on this issue. CS/CS/SB 98 by Senator Steube was passed by the Senate on January 31. It and a revamped companion bill CS/CS/HB 199 by Rep. Shawn Harrison (R-Tampa), still making its way through committees, would require insurers and Medicaid HMOs to approve or deny prior authorization requests as well as appeals from denials of care within three days in non-urgent situations and one day if the care is urgent. It would also prohibit prior authorization forms from requiring information not necessary to determine the medical necessity or coverage for a treatment or prescription. Health insurers and their pharmacy benefits managers would also have to provide requirements and restrictions on prior authorizations in understandable language and to make them available on the internet, along with a 60-day notice of any changes. It also defines “step therapy” and prohibits insurers and HMOs from requiring patients repeat step therapy protocols. In recognition of the current opioid crisis, the Senate previously approved an amendment requiring insurers waive step therapy requirements if the treatment being recommended is a non-opioid alternative. Meanwhile, there was quiet, but dramatic testimony on CS/CS/HB 199 before the Insurance and Banking Subcommittee on January 30. A schizophrenic patient testified that getting on the right medication and staying on it are crucial. She hinted she had to start over with step-therapy protocols when her psychiatrist of 10 years retired. Denying a drug, even temporarily, she said, can lead to hospitalization and death. A representative from America’s Health Insurance Plans warned that disregarding step therapy protocols could impact patient safety. An amendment was added that clarified that this applies to insurance in both small group and large group plans. There was a question on whether this will increase rates for consumers. Rep. Harrison said possibly, but that it hasn’t happened in other states with this requirement. The bill passed and awaits its final stop before the Health & Human Services Committee. Payment of Health Care Claims – Senator Steube is also sponsoring SB 162 that would prohibit health insurers and HMOs from retroactively denying insurance claims under certain circumstances. The bill may be scheduled for a final vote on the Senate floor this week. Its House companion, HB 217 by Rep. Bill Hager (R-Delray Beach), passed its second of three committees last week, but with many of the “yes” votes by members of the Appropriations Committee vowing to vote “no” if the bill isn’t improved during the last weeks of session. The bill, as does SB 162, would require that insurers verify a patient’s eligibility at the time of treatment to avoid doctors performing services that are later denied with insurers demanding repayment from the doctor or patient. The debate on the bill has turned into a debate on the federal Affordable Care Act (Obamacare) because the bill would apply to policies both on and off the federal exchange. Obamacare requires a three-month grace period on federal exchange policies as long as the patient paid at least one month’s premium. During the first month of the grace period, an insurer must pay all claims – during months two and three, insurers can notify providers that claims may be denied. Insurance groups, such as the Florida Association of Health Plans, opposed HB 217 during the meeting as simply codifying Obamacare into state law, given it would apply to both on- and off-exchange health policies. The bill has one final, yet unscheduled, stop before the House Health & Human Services Committee. Telehealth – CS/SB 280 by Senator Aaron Bean (R-Fernandina Beach) passed the third of its four committees last week, with a unanimous vote Wednesday by the Senate Appropriations Subcommittee on Health and Human Services. Senator Lauren Book (D-Plantation) told the committee she recently used the Facetime video application on her phone to remotely link one of her children with their dermatologist for treatment of hives and she heartily endorsed the concept. The bill is part of a continued effort to put remote health practitioner visits via the internet on an equal footing as in-office visits, in order to reduce health costs and provide parity of care to rural patients. A state panel in 2016 executed a list of legislative directives to help smooth the kinks and establish recommended procedures to help make this bill a reality. SB 280 would establish the standard of care for telehealth providers; encourage the state group health insurance program to include telehealth coverage for state employees; and encourage insurers offering certain workers’ compensation and employer’s liability insurance plans to include telehealth services. The bill would also ban the use of telehealth for prescribing controlled substances to treat chronic or nonmalignant pain or for certifying patients for medical marijuana treatment. The bill now goes to the Senate Appropriations Committee. A companion, HB 793 by Rep. Massullo, was filed in late November and has been referred to the House Health Quality Subcommittee and the Health and Human Services Committee, but has not been scheduled for consideration. Texting While Driving – There’s no further progress to report from this past week on this issue. Moving Florida’s current ban on texting while driving from a secondary offense (where you can be ticketed during a traffic stop made for another reason) to a primary offense continues to steadily advance, with a vote possible soon by the full House. The House Government Accountability Committee on February 1 passed a revamped CS/CS/HB 33 by Rep. Jackie Toledo (R-Tampa), which now includes an amendment its Senate companion had adopted two weeks ago requiring that the driver’s race and ethnicity be recorded by law-enforcement officers when ticketing for texting while driving. The amendment passed out of concerns about racial profiling of minorities. Under the bill, first-time violators would face a $30 fine plus court costs for a non-moving violation. Second-time offenders would face a $60 fine plus court costs with a moving violation. Those involved in crashes or texting in school zones face additional penalties. Like its companion, SB 90 by Senator Keith Perry (R-Gainesville), the bill requires the officer notify the driver of the constitutional right not to have their cellphone examined by authorities. Neither applies to stationary vehicles. Florida is one of four states where texting while driving isn’t a primary offense. The House bill is now ready for a floor vote and the Senate bill is awaiting its last hearing before the Appropriations Committee. Controlled Substances – SB 8 by Senator Lizbeth Benacquisto (R-Ft. Myers) was approved this past Thursday by its final committee amid ongoing behind-the-scene talks among the Florida Medical Association and key lawmakers and the Governor’s Office. The Rules Committee voted unanimously to approve the bill, which would restrict an opioid supply to three days for standard prescriptions but would allow up to a seven-day supply if a doctor determined it “medically necessary.” The FMA is pushing for more flexibility in cases where patients have terminal illnesses, have undergone major surgery, are trauma patients, or are in hospice care. Additionally, the bill provides for more continuing education for responsibly prescribing opioids and requires participation in the Prescription Drug Monitoring Program by all healthcare professionals that prescribe opiates. It specifically requires doctors to check the database before writing prescriptions, to avoid enabling “doctor shopping” multiple-prescription patients. Speakers at past hearings have included doctors and patient groups and were very positive and supportive of the bill. The Senate’s budget provides $53 million for the treatment and prevention of opioid addiction. A similar bill in the House (HB 21) by Rep. Jim Boyd (R-Bradenton) is still awaiting its last stop before the Health & Human Services Committee. It has the same prescription limits as the Senate version. It would also authorize the state Department of Health to share data with other states to avoid patient abuse in filling multiple prescriptions. The House earmarked about $50 million to address the opioid crisis, with more than half of that to come from federal funding. The House also wants to spend $1 million on the statewide prescription drug database. Governor Scott has requested the legislature appropriate $53 million toward the fight against opioid abuse, something state Attorney General Pam Bondi earlier in the session called “a great start” but nowhere near enough given the funding that will be necessary for treatment. She serves on the President’s Opioid and Drug Abuse Commission. She’s also conducting a multistate investigation into potentially unlawful practices by drug companies in the distribution, marketing, and sales of opioids. HB 21 is the most-lobbied bills in the legislature according to a recent report by the Tampa Bay Times. Trade Secrets in Public Records – CS/HB 459 & CS/HB 461 by Rep. Ralph Massullo (R-Beverly Hills) together eliminate trade secrets and its various definitions found in statutes and then restore them under a uniform definition and treatment. Late this past Friday, three additional amendments were filed by Rep. Massullo, one of which would keep in place the bill’s proposed elimination of public records exemptions for certain information that might reveal trade secrets held by the Department of Legal Affairs but take out previously proposed elimination of similar public records exemptions for trade secrets held by the Office of Insurance Regulation and future trade secret documents submitted to the Department of Financial Services or the Office of Insurance Regulation. The bills passed out of their final committee on February 9 and are ready for a House floor vote, now with these three newly added amendments. CS/HB 459 repeals almost all public record exemptions for trade secrets in current law, the associated processes for designating a trade secret, and references to trade secrets contained in definitions for proprietary business information. This includes the trade secret process used in the insurance code, Section 624.4213, Florida Statute. Then, its “sister” bill, CS/HB 461 enacts a new trade secret process that is not unlike current law regulating insurance entities use of trade secrets now. It clearly defines the term and specifically excludes from the definition any of the myriad contracts and agreements between agencies and outside vendors that Speaker Corcoran has been critical of. So in essence, CS/HB 459 repeals the current insurance entity trade secret practice and CS/HB 461 restores it. At the February 9 House Government Accountability meeting, it was clear that these trade secret bills are aimed at state agencies who contract with private businesses. Caught up in this debate was State Farm’s successful court decision to have their quarterly data not be available to the public as all other property insurers are required to do into the OIR QUASR system. In fact, State Farm was successful at this committee meeting to include an amendment to HB 459 that specifically preserves its data and company information as trade secret, along with information that is part of research activities at universities and teaching hospitals. Contained in HB 459, however, are provisions to make transparent catastrophe modeling information and that will have the effect of modelers shielding that information rather than sharing it with the hurricane methodology commission as they do now. CS/HB 459 has companion SB 956 and similar bill SB 958 (both filed by Senator Mayfield in November) and CS/HB 461 has a similar bill in SB 958. Neither Senate Bill has progressed. Again, these bills have not had a single hearing in the Senate which appears to indicate this subject will be a source of negotiation as we near the end of session in the next few weeks. Assignment of Benefits (AOB) – There are other AOB bills in the Senate, but they are all stalled. They include SB 62 by Senator Dorothy Hukill (R-Port Orange). The bill prohibits certain attorney fees and requires those vendors that execute the AOB to comply with certain requirements prior to filing suit. HB 7015, which passed the House on January 12 has some elements of this bill. Likewise stalled is SB 256 by Senator Gary Farmer (D-Ft. Lauderdale), which would prohibit insurer managed repair programs and prevent most property insurance policies from prohibiting or limiting AOB. But it would also require the AOB be in writing, be limited to an accurate scope of work to be performed, and allow the policyholder to cancel the AOB within seven days without penalty and otherwise, be shared with the insurer within seven days of execution. A final repair bill would be required to both policyholder and insurer within 7 days of work completed. Referral fees would be limited to $750 and require water damage remediation assignees to be ANSI certified. Insurance companies would be required to offer any settlement within 10 days of assignee filing suit over an AOB dispute. It also prohibits insurers from including the costs of attorney fees paid in losing cases into their rate base or future rate requests. Under the bill, OIR would be required to conduct an annual AOB data call beginning in 2020. HB 7015 which passed the House on January 12 has some elements of this bill, but not the attorney fee rate recoupment. Personal Injury Protection (PIP) – There are other PIP bills, but they are also stalled. HB 6011 by Rep. Julio Gonzalez (R-Venice) deletes the requirement for policyholders & health care providers to execute disclosure & acknowledgment forms to claim personal injury protection benefits. It had its first reading on January 9 but remains unscheduled for committees. These requirements were originally established to help prevent fraud and include verification that actual services were rendered and weren’t solicited by the provider. HB 6011 has no Senate companion. Regulation of Workers’ Compensation Insurance – Filed by Senator Lee on the Friday before Session began, SB 1634 authorizes the Insurance Consumer Advocate to intervene as a party in certain proceedings relating to the regulation of workers’ comp insurance or to seek review of certain agency actions before the Division of Administrative Hearings (DOAH). The bill also specifies requirements and procedures for the consumer advocate in the examination of workers’ compensation rates or form filings. There is no House companion bill. Property Insurance – Filed by Senator Lee on the Friday before Session began, SB 1652 would prohibit property insurers who fail to make inspections within 45 days of notice of claim from denying or limiting payments for certain hurricane-related claims under certain circumstances. It also restricts insurers from requiring proof of loss and requires all these changes be added to Florida’s Homeowner Claims Bill of Rights and provided to the policyholder. The bill also requires property owners to disclose the sinkhole report in lease or lease/purchase agreements when an insurance claim has been paid for sinkhole damage. It has no House companion bill. Florida Building Commission – The Florida Building Commission, which oversees state building codes – some of the toughest in the nation due to Florida’s susceptibility to hurricane damage – would be downsized under HB 299 by Rep. Stan McClain (R-Ocala), who is a residential contractor. The bill would cut the board more than in half, from 27 to 11 members, removing representation from several sectors in the building industry. The bill removes members representing: air conditioning, mechanical or electrical engineering, county code enforcement, those with disabilities, manufactured buildings, municipalities, building products, building owners/managers, the green building industry, natural gas distribution, the Department of Financial Services, the Department of Agriculture and Consumer Affairs, the Governor appointee as chair, and reduces from three members to one municipal code enforcement official and would no longer require a fire official. The bill also changes the qualifications of the architect member, removing the requirement of actively practicing in Florida. Rep. McClain said the bill is meant to remove any Commission members that aren’t directly involved in the building process but that he’s open to suggested changes. An amendment that would have removed the insurance representative was withdrawn this fall. HB 299 would leave the Commission comprised mostly of contractors. The bill is on its way to its last stop at the Commerce Committee but has no Senate companion. Contractors Without Insurance – HB 89 by Rep. Ross Spano (R-Riverview) requires that contractors lacking public liability insurance shall be personally liable to a consumer for damages that having the proper insurance would have covered. The bill passed the Civil Justice & Claims Subcommittee in early November but has two more stops. Its Senate companion SB 604 by Senator Greg Steube (R-Sarasota) hasn’t had a hearing in any of its three committees yet. Insurance Rates – Like he’s tried to do with AOB, SB 258 by Senator Farmer would prohibit insurance companies from including the costs of attorney fees paid in losing cases into their rate base or future rate requests in Workers’ Compensation and Life policies. Farmer’s similar bill in the 2017 session failed. SB 258 has been referred to the Committees on Banking and Insurance, Appropriations, and Rules but has not been scheduled to be heard. It is stalled and has no House companion. Insurance Reporting – Filed by Senator Farmer on the Friday before Session began, SB 1668, follows the same bent as his previous bills on verifying insurance litigation costs. It would require insurers filing rates with the Office of Insurance Regulation provide specified information and projections relating to claim litigation in their rate filings. This includes litigation costs and total dollar value of denied or limited claims where either party prevailed (insurer or insured) and those claims that reached settlement, along with attorney fee breakdowns for all parties. This information would be culled from the year prior to the rate filing, as well as projected costs for the following year. It has no House companion bill. Insurance Credit Scoring and Redlining – SB 414 by Senator Farmer would ban the use of credit scores as a determining factor in calculating auto insurance premiums. Currently, insurers are permitted to use a customer’s credit history as a justification for higher insurance rates. Statistically, drivers with poor credit scores pay more and according to Farmer “the use of credit scores as a determining factor for auto insurance rates has been found to disproportionately affect minority populations, with African American and non-white Hispanic policyholders often paying higher premiums, and is not a reliable indicator for increased risk.” Similarly, SB 410 would prohibit the use of zip codes as a determining factor in calculating auto insurance premiums, which Farmer called “de facto discrimination.” HB 659, which passed and became law in 2016, allows single zip code rating territories if they are actuarially sound and the rate is not excessive, inadequate, or unfairly discriminatory. Neither SB 414 nor SB 410 have had a hearing yet, and with no House Companion, their future is very uncertain. Patient’s Choice of Providers – Dubbed the “Patient’s Freedom of Choice of Providers Act”, HB 143 by Rep. Ralph Massullo (R-Beverly Hills) prohibits a general health insurance plan from excluding willing and qualified health care provider from participating in a health insurer’s provider network so long as the provider is located within the plan’s geographic coverage area. The bill has been referred to the Health Innovation Subcommittee, but has stalled. There is a Senate companion, SB 714, which is also stalled. Autonomous Vehicles – A revamped CS/HB 353 by Rep. Jason Fischer (R-Jacksonville) authorizes the use of vehicles in autonomous mode “regardless of whether a licensed human operator is physically present in the vehicle.” It unanimously passed its second hearing stop on January 22 before the House Appropriations Committee and awaits a hearing before the Government Accountability Committee. There was acknowledgment by various parties in the meeting that Florida is in a race with other states to legalize so-called “self-driving cars” together with the impact that would have on our existing AV research projects here. The autonomous technology would be considered the human operator of the motor vehicle and provides that various provisions of law regarding motor vehicles such as rendering aid in the event of a crash do not apply to vehicles in autonomous mode where a human operator is not physically present as long as the vehicle owner promptly contacts law enforcement. The bill also addresses the applicability of laws regarding unattended motor vehicles and passenger restraint requirements as they relate to vehicles operating in autonomous mode where a human operator is not physically present in the vehicle. A Senate companion (CS/SB 712) by Senator Brandes unanimously passed the Transportation Committee on January 25 and awaits hearings in the Banking and Insurance, and Rules Committees. Property Tax Exemption for Generators – Designed to help those who want to help themselves the next time a big hurricane or other calamity hits and the power goes out, SJR 974 by Senator Jeff Brandes (R-Pinellas) would place a constitutional amendment on the 2018 ballot for voters to consider a property tax exemption for the just value of a permanently installed stand-by generator system when assessing annual property taxes; a companion bill SB 976 (Brandes) would implement the measure. Neither has been scheduled for committee hearings. Flood Insurance and Mitigation – SB 158 by Senator Jeff Brandes (R-St. Petersburg) provides greater funding for flood mitigation so that more individuals and communities can meet NFIP flood insurance standards. The bill would allow flood mitigation projects to be funded by the Florida Communities Trust to reduce flood hazards. Senator Brandes has for the past 5 years taken the lead in Florida in the flood insurance arena. The bill has been referred to the Committees on Environmental Preservation and Conservation, Appropriations, and the Appropriations Subcommittee on the Environment and Natural Resources but has not been scheduled to be heard. An identical House companion, HB 1097 by Rep. Cyndi Stevenson (R-St. Augustine) was filed in late December. Neither has had its first hearing. Which District Court of Appeal is right on AOB? As the Florida legislature continues to grapple with how best to reform well-documented abuses in the Assignment of Benefits (AOB) process in property insurance claims, the courts have weighed-in again against an insurance company. The 5th District Court of Appeal out of Daytona Beach has ruled against ASI Preferred Insurance, saying that its policy language requiring that all insureds approve an AOB is not legal. It’s the same appellate court that ruled against Security First Insurance for the same reason in a similar case last December. But the 5th DCA’s decision is contrary to one by the 2nd DCA in Lakeland last fall which affirmed ASI’s very same policy language. Anyone up for a trip to the Florida Supreme Court? The protective policy language dates back several years and was designed to provide necessary safeguards against what has since become uncontrolled AOB abuse by third party vendors and their attorneys in Florida. The problem is getting worse, especially in non-weather related water claims. In January 2018, the Florida Office of Insurance Regulation (OIR) released its 2017 Review of Assignment of Benefits (AOB) Data Call Report. The report states that since 2015, the frequency of water claims has risen 44% and severity of those claims has risen 18%. “The total combined impact of these changes reflect an average 42.1% annual increase in water losses, which is nearly triple the 14.2% average annual increase shown in the previous report,” it said. OIR’s past actions resulted in at least six insurance companies being allowed to include the protective policy language in their policies – policies still in effect today. Yet, OIR has since rejected other insurance companies that sought to use the exact same language in their policies. We have been keeping our clients abreast of this matter; for further background please see AOB Policy Language Limbo Continues. For now, we continue to have two separate but unequal regulatory schemes on this practice. Five months after Hurricane Irma struck Florida’s Keys and Southwest coast, damage claims now total nearly $8 billion, plus another $807 million in National Flood Insurance claims. As we know (but many homeowners didn’t) traditional homeowners policies don’t cover flood damage. One analyst’s projections put flood losses nationwide at $38 billion from last year’s various disasters and that up to 80% of damaged homes may not have flood coverage. Officials here in Florida have put that figure at at least 60%. Here’s a snapshot of what Florida looks live five months after Hurricane Irma hit. 1,754 of the above claims were flood claims filed with private carriers with a paid-unpaid ratio of about 8:5. FEMA reports 28,111 National Flood Insurance Program (NFIP) Florida claims filed as of Feb. 9, with payouts of $807 million on nearly 17,000 closed paid claims. Another 9,657 claims were not paid (37%), with 1,485 remaining open. Florida NFIP policyholders in Special Flood Hazard Areas who are repairing or rebuilding may receive extra funds – Increased Cost of Compliance – to upgrade a structure so it complies with local building regulations. There are requirements on insurance companies, too. More from this recent FEMA bulletin. The worst damage by far was in Monroe County – the Florida Keys. While tourism has rebounded, Irma destroyed 1,179 homes and severely damaged nearly 3,000 more. That’s about 8% of the Keys’ total housing and has made the area’s longtime affordable housing problem even worse. More from Florida Trend. Rebuilding the Keys’ only hospital will cost $40 million. Irma’s initial hit to tourism in the Keys was harsh, with Islamorada the hardest hit. Tax revenues were down 77% in Oct. and 72% in Nov. – nearly $329,000 less than the previous year. With just 48% of its hotel rooms back in service, Islamorada is facing losses of up to half a million dollars in the first quarter of 2018. Irma has also been blamed for a rise in delinquent mortgage payments in South Florida. 12.7% of mortgages in the tri-counties were at least 30 days delinquent in November, up from 7.4% a year prior, according to published reports. Business closings meant no paychecks for some workers. Citizens Property Insurance Corporation, the state’s insurer of last resort, reported that as of early December, it had received 63,600 claims, with a 77% closure rate. It expects $1.2 billion in insured losses and 70,000 Hurricane Irma claims over the next 18-24 months. It has focused on a 90% case closure rate, due in part, to greater use of drones for damage inspection and greater utilization of claims estimation software technology. The House Select Committee on Hurricane Response and Preparedness issued its final report on January 16 with 78 recommendations to make Florida a safer and better prepared state when the next big hurricane hits. The legislature, state agencies, and the Governor’s Office are in the midst of addressing and in some cases, implementing several of the recommendations. See the “Hurricane Irma Damage” section of this issue’s Bill Watch for details. There are various parties being sued as a result of Hurricane Irma and the circumstances and consequences it created. Among them are the Rehabilitation Center at Hollywood Hills in Broward County, where authorities say 12 patients died after power to the air conditioning system went out, as well as Florida Power & Light, which received calls from the nursing home about the power outage. More here. Blue roof tarps remain a common sight in Central and Southwest Florida where Irma cut a path of high-wind destruction. Legitimate contractors and roofers remain in short supply. One roofer in Naples was quoted as saying it will be two years before roofs in the region will be back to their pre-Irma state. FEMA’s temporary housing program had paid out $24.4 million in Brevard County alone to residents for housing and rental assistance as of January 15. The funds are for those whose damages weren’t covered by insurance. Likewise, about 80 families who fled Puerto Rico after Hurricane Maria are still living temporarily in Florida hotels, as FEMA grapples with whether to extend a temporary housing program for them beyond March 20. FEMA assistance is a catch-22: No matter the nature of the damage, those whose homes are deemed safe to occupy are ineligible for most financial relief. You can refer your clients and friends to this recent FEMA bulletin for alternative sources of assistance and for unmet needs. Additionally, the U.S. Department of Housing and Urban Development (HUD) recently awarded Florida $616 million to support long-term recovery efforts through its Community Development Block Grant – Disaster Recovery (CDBG-DR) Program. The money is expected to be used to support long-term recovery, including infrastructure, seriously damaged housing, and economic recovery in key communities throughout Florida. There are pockets of disrepair and despair around the state. In Orlo Vista, in western Orange County, county officials are considering buying and demolishing homes around Lake Venus, which sent waters up to two feet into hundreds of homes. Despite studies showing flood potential, FEMA didn’t list it within a 100-year flood zone. The long-awaited $90 billion in disaster relief funding from Congress for various U.S. disasters earlier this month included $760 million for Florida’s citrus industry, which lost 65% of its crop from fruit drop during Irma’s heavy winds and rain. Meanwhile, orange crop estimates dropped another 2%, which will put this season’s crop harvest at 34.5% below last season’s five-decade low yield. The state of Florida is pitching in $6 million to the Florida Keys to help clean up partially sunken boats and other marine debris left over from Irma, as local governments there are tapped-out. The state expects to get repaid through FEMA reimbursements. The Florida legislature is working on various tax-relief measures to citrus growers, which could include one-time tax refunds on fencing and building materials for non-residential farm buildings. As Hurricane Irma proved, proper preparation can make a world of difference. We’ve reported recently here in the LMA Newsletter that resiliency is the name of the game, with historical research showing that for every $1 spent on hazard mitigation, $6 is saved on post-disaster costs. But how can we make specific populations – say older adults, a group which Florida leads the nation in – more disaster resilient? A new CDC-funded study by the Rand Corporation shows we have many of the tools to do so today. The Rand team found that older adults (age 65+) are especially vulnerable to natural disasters and suffer a disproportionate number of deaths and injuries. They tend to be more socially isolated, less prepared, and have special needs given their age. While health departments and other aging-in-place organizations tend to look at broader everyday living challenges rather than disaster preparedness, the Rand researchers found these same stakeholders have the tools necessary today to help make older adults more disaster resilient. Age-friendly communities, adult villages, and health departments already offer programming directly relevant to disaster preparedness. Most conduct activities to improve information-sharing and outreach about household preparedness, communication with first responders, and assessment and planning, such as home safety inspections. Although these activities focus on household emergencies, there are clear connections between these preparations and readiness for natural disasters. Some respondents observed that preparedness was a logical extension of their work on neighborhood cohesion and social engagement. They felt that these activities played a role in linking community preparedness in general with the specific needs of older adults and that bridging this gap — rather than delivering any specific services — holds promise for boosting older-adult preparedness. To support collaboration between aging-in-place groups and public health departments, the Rand team developed a toolkit to clarify common ground these groups have and build on it to promote activities to enhance older adults’ resilience. You can view the toolkit and Rand Research Brief here. This is a great opportunity for insurance interests to get behind and we welcome your inquiry on strategies to become part of this effort. Among the bills making their way through this Florida Legislature is one that would put control of any regulation on renting out one’s home temporarily out of the hands of local municipalities and into the state of Florida’s. One of the major players in that space, Airbnb (it’s a phone and tablet app that stands for Air Bed & Breakfast and links property owners with short-term vacationers) is making its case publicly for just how big an economic impact its business has on the state. It said last week that it’s more than doubled its sales tax proceeds from $20 million in 2016 to $45.7 million in 2017. It’s a sign of the time that this industry will be around for the long term. Back in 2015, Airbnb collaborated with the Florida Department of Revenue on a historic agreement allowing the company to collect and remit the 6% state sales tax on behalf of all 40,000 Airbnb vacation rental hosts throughout Florida. As a result, in 2017 Airbnb delivered more than $33 million in sales tax revenue to DOR, as property owners (“Airbnb vacation rental hosts”) throughout the state earned a combined $450 million in income through the platform. Airbnb also initiated a campaign in 2015 to pursue partnerships with Florida counties that allow the platform to collect and remit local bed taxes on behalf of its hosts in each jurisdiction. Airbnb now has bed tax agreements in place in 39 of the 63 Florida counties that assess such a tax. Among those 39 counties, Airbnb delivered a combined $12.7 million in local bed tax revenue last year. The $45.7 million in tax revenue collections can be attributed both to the continued growth of vacation rentals in Florida (Airbnb experienced 73% Florida growth in 2017) and the six major tax agreements Airbnb secured in 2017 — Miami-Dade, Broward, Sarasota, Polk, Hillsborough and Leon. County bed taxes are used to fund local tourism marketing ventures. A moment of silence for the hero teachers who died to save the lives of the Broward County students last week — May you fly with the angels and peace be with your families. GET THE LATEST UPDATES IN YOUR INBOX FOR FREE!